06/16/16, 08:40 AM | Solar & Wind | case study | Kyocera Solar, Inc. The 30kW grid-tie system uses 126 Kyocera solar modules and is currently supplying more power to the grid than the church consumes. "EES is the world's leading trade show for batteries and energy storage systems," said Mr. George Pan, Chief Executive Officer at Highpower International. "Highpower's participation will increase our exposure to participants from various countries around the world, and provides us the opportunity to display our advanced battery products and portable power stations. Drive Solar solves one of the most significant post-purchase inconveniences of driving an EV: installing a residential charging station. Pick My Solar expands its online marketplace into commercial solar with the acquisition of fellow Catalyst Energy Innovation Prize winner Solar Merchant. 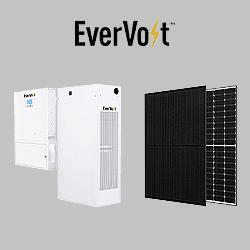 With both on-grid and backup solutions, the new offering supports increasing self-consumption, providing power backup, and enabling energy independence. Polysilicon price extend the drop this week as the wait-and-see attitude of buyers and the dollar strengthen. As Chinese polysilicon suppliers have lowered price quote noticeably last week and the downstream demand remain sluggish, polysilicon buyers become more cautious in polysilicon procurements. As buyers sentiment weakens, the inventory level have witnessed noticeable rise, with some accumulating 2-3 weeks extra inventories, according to our supply chain check. Moreover, as the greenback strengthens recently, polysilicon price in China is further deteriorated in USD term. On the other hand, polysilicon prices outside of China are also being pressured as constrained by the price decline in Chinese market. Moreover, as the leading wafer manufacturer turns more bearish regarding the outlook of the demand, the weakening wafer prices also cause the polysilicon to perform poorly as well.